Phase 1 of the construction project to extend the Green Line was kicked off recently by the Massachusetts Bay Transportation Authority (MBTA). According to Governor Deval Patrick, the Green Line will now travel to Somerville and Medford. “The Green Line extension means expanded employment opportunity, housing opportunity and recreational opportunity,” said Governor Patrick. Our Somerville personal injury attorneys understand that the construction project includes two railroad bridges to help to connect the Green Line to the outer area. And that’s only Phase 1 at a cost of $13 million. To get the project done, officials will have to demolish a building in Cambridge as well. Barletta Heavy Division will be contracting the project. Throughout the duration, crews will be reconstructing Medford Street Bridge and the Harvard Street Bridge. Overall, the project is expected to cost more than $1.1 billion. In the U.S., there were more than 1,000 people killed in vehicle accidents that occurred in a construction work zone last year. One of the most important things in helping to ensure everyone’s safety in these work zones is to keep an eye on your speed. According to MassHighway Traffic Engineering, lane width can make a difference, too! Officials say that narrowing lanes helps to make drivers travel more slowly and cautiously. -Education: The public should be notified about what construction is going on in the area. By letting travelers know, they can choose alternative routes to avoid the area. 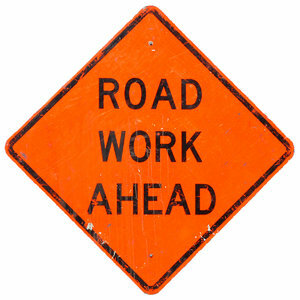 -Signage: Temporary signs help to declare the presence of a work zone. This will give them more time to slow down and to react. -Barrier: These will help to keep traffic away from workers. -Police Presence: Just the sight of an officer helps to keep drivers on their best behavior. Officers serve as an effective deterrent for irresponsible driving habits. -Accommodations: Making sure that pedestrians, bicyclists and other transit can get through the area is a sure way to help to halt any kind of accidents. If you or a loved one has been injured in an accident, contact Boston Injury Attorney Jeffrey S. Glassman. Our firm offers free and confidential consultation to discuss your case. Call 877-617-5333 today!